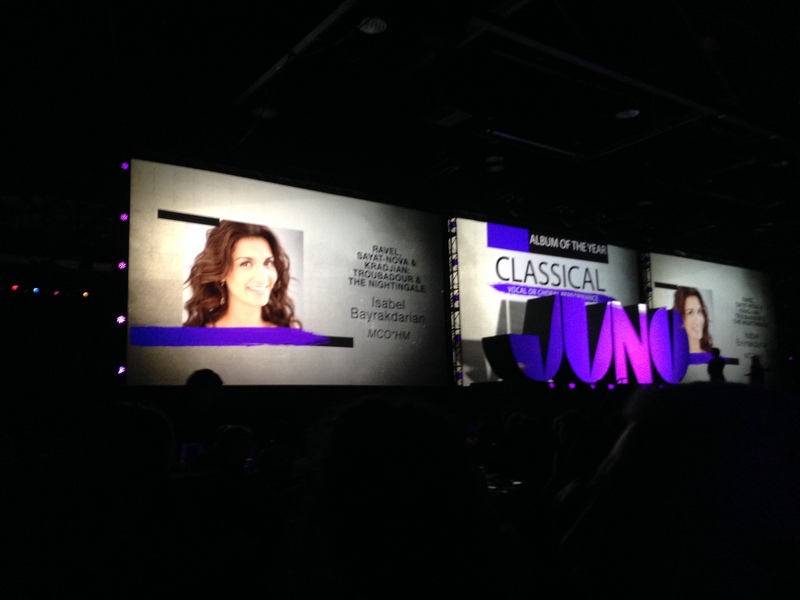 I had the pleasure of attending the Juno Gala Dinner and Awards at the Winnipeg Junos this year. 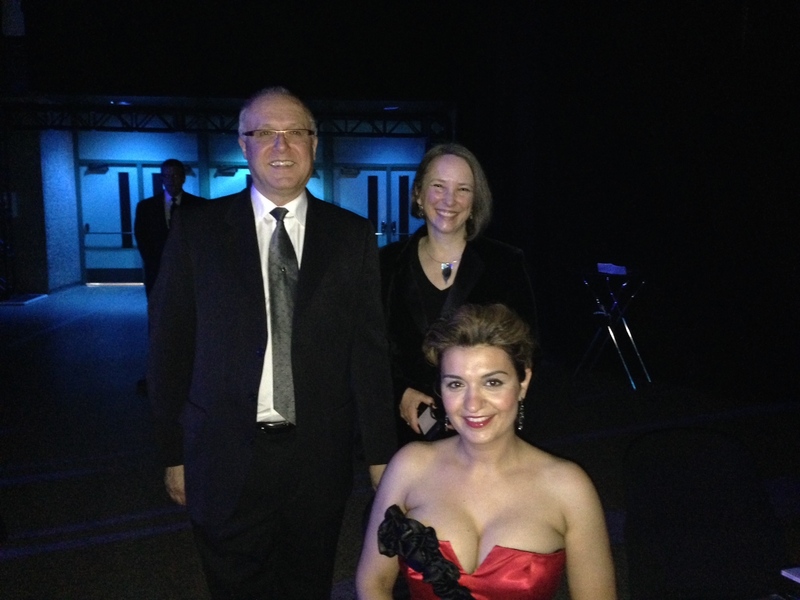 I was with nominees Serouj Kradjian and Isabel Bayrakdarian, and Vicki Young, who was representing the Manitoba Chamber Orchestra. We were there because their album “Troubadour and the Nightingale” was nominated for Classical Album of the Year: Vocal or Choral Performance. I was fortunate enough to have received the call to engineer this project. 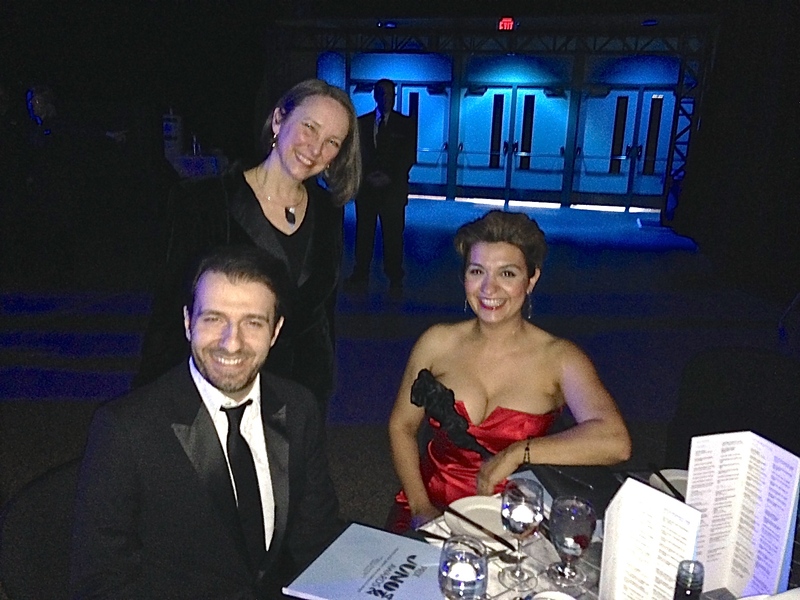 Although we didn’t get the statuette (congratulations to Lettres de Madame Roy à sa fille Gabrille – Marie-Nicole Lemieux & André Gagnon), it was a lovely evening and a great time to reconnect with old friends and colleagues.